Whether you’re into trading trends or ranges, I got yo back with these hot setups on EUR/AUD and GBP/CAD. Get ’em while they’re hot! Support alert! 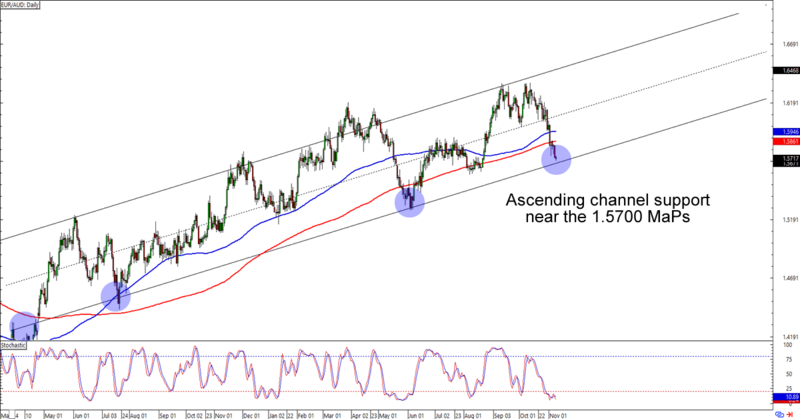 EUR/AUD is about to hit the 1.5700 major psychological handle, which lines up with an ascending channel support that hasn’t been broken since May this year. Will the bulls attack around the 1.5700 mark? Buying at the MaPs could give you a good reward-to-risk ratio especially if the pair jumps back to its previous highs near 1.6300. However, if more bears jump in around 1.5700, or if the 100 SMA crosses below the 200 SMA, then we could also see a trend reversal in the making. Watch this one closely, folks! Remember that range support that we spotted a couple of days back? Well, it looks like the bulls paid attention! 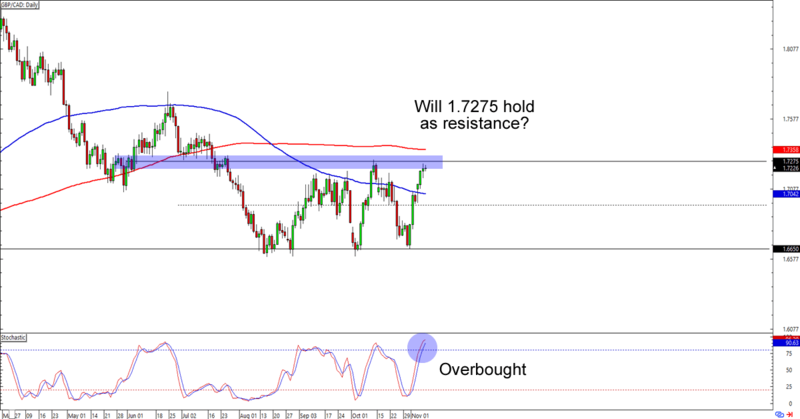 What makes the setup interesting again is that it’s now flirting with its range resistance near 1.7275. What’s more, stochastic is chillin’ like a villain in overbought territory! Think the pound is about to see losses against the Loonie? Shorting at the earliest signs of a bounce is a good play especially if the pair drops back to the 1.6650 support. If you’re one of them pound bulls, though, then you could also wait for a break above the range resistance and aim for the areas of interest near 1.7650 and 1.7950.